The snow forecast for Mount Lemmon Ski Valley is: Mostly dry. Very mild (max 14°C on Fri afternoon, min 5°C on Wed morning). Wind will be generally light. Mount Lemmon Ski Valley Weather (Next 3 days): The snow forecast for Mount Lemmon Ski Valley is: Mostly dry. Very mild (max 14°C on Fri afternoon, min 5°C on Wed morning). Wind will be generally light. Mount Lemmon Ski Valley Weather (Days 4-6): Mostly dry. Very mild (max 13°C on Sat afternoon, min 3°C on Mon night). Winds increasing (light winds from the SW on Sat night, near gales from the SW by Mon afternoon). Mostly dry. Very mild (max 13°C on Sat afternoon, min 3°C on Mon night). Winds increasing (light winds from the SW on Sat night, near gales from the SW by Mon afternoon). Mostly dry. Very mild (max 14°C on Fri afternoon, min 5°C on Wed morning). Wind will be generally light. 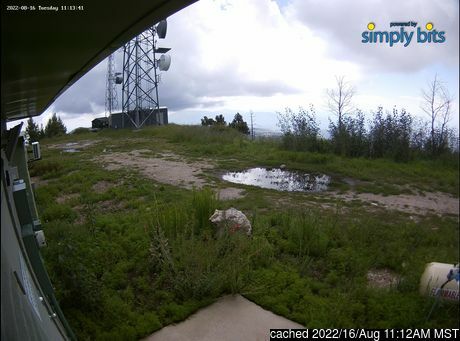 The above table gives the weather forecast for Mount Lemmon Ski Valley at the specific elevation of 2791 m. Our sophisticated weather models allow us to provide snow forecasts for the top, middle and bottom ski stations of Mount Lemmon Ski Valley. To access the weather forecasts for the other elevations, use the tab navigation above the table. For a wider view of the weather, check out the Weather Map of United States. Tried to go up the Catalina Hwy to ski Mt. Lemmon, but the line of cars waiting to go up was huge and would have taken all day. The ski area should have a shuttle for those wanting to ski. It was obvious that a lot of the cars had skiers/snowboarders waiting to go up. Lots of lost business. I turned around and went home. The Mount Lemmon Ski Valley skiing weather widget below is available to embed on external websites free of charge. It provides a daily summary of our Mount Lemmon Ski Valley snow forecast and current weather conditions. Simply go to the feed configuration page and follow the 3 simple steps to grab the custom html code snippet and paste it into your own site. You can choose the snow forecast elevation (summit, mid-mountain or bottom lift) and metric/imperial units for the snow forecast feed to suit your own website…. Click here to get the code.